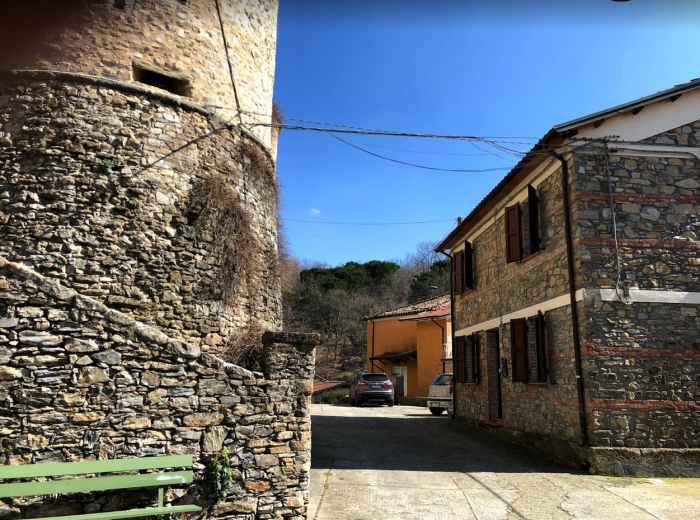 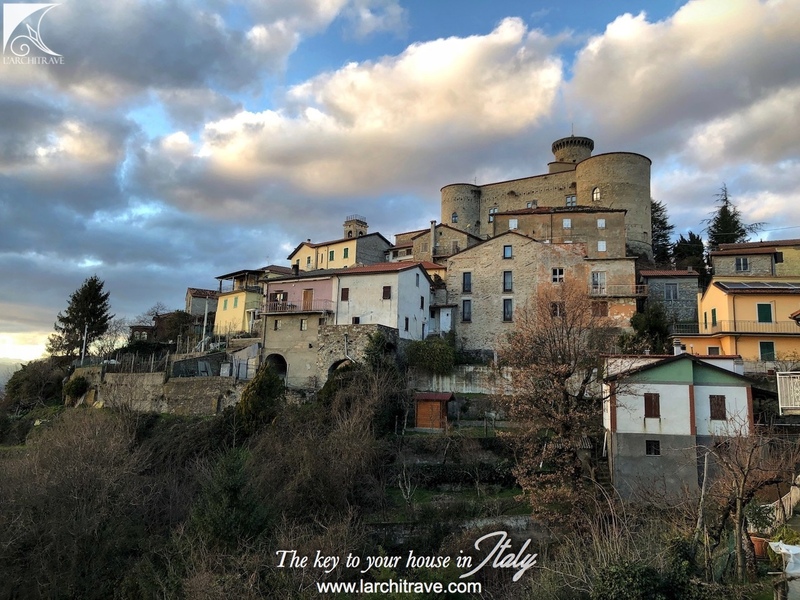 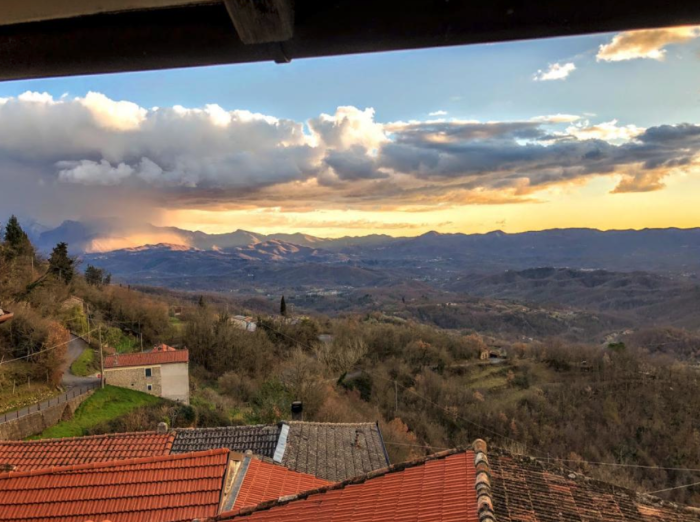 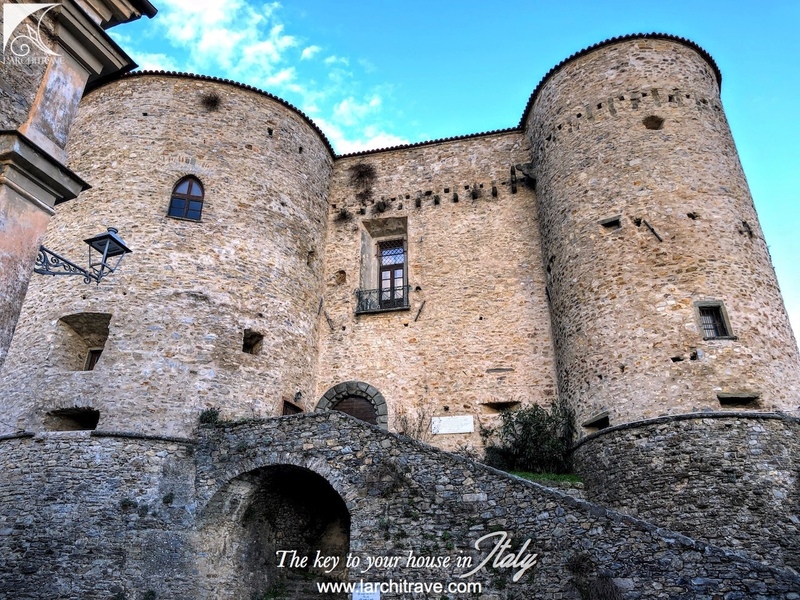 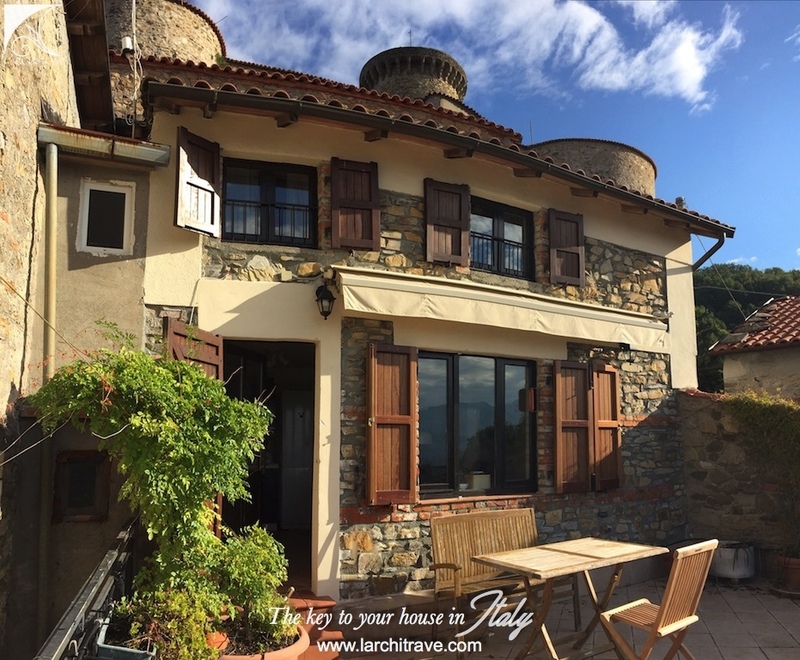 Detached stone property in idyllic medieval village with castle and dominating the hills of Lunigiana, Tuscany. The property has a large private terrace with stunning views. Situated next door to the privately owned castle and in a quiet location, the property was restored with flair by the current owners. 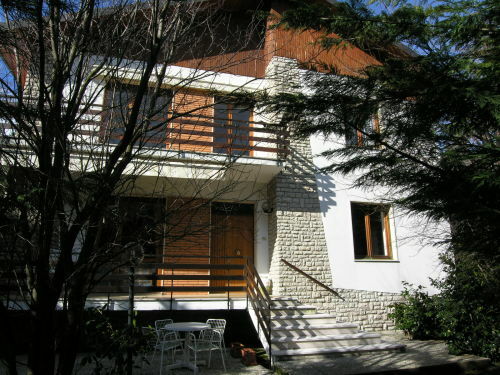 upstairs there is a large landing - living room, 2 bedrooms and bathroom with shower. 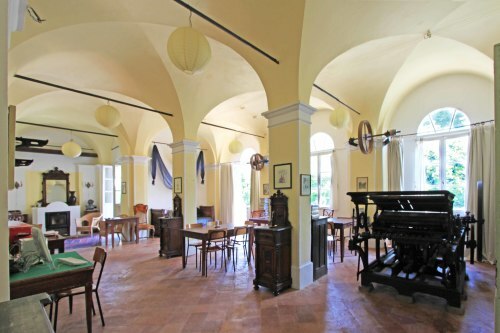 There is a basement room used for storage on the lower ground floor. 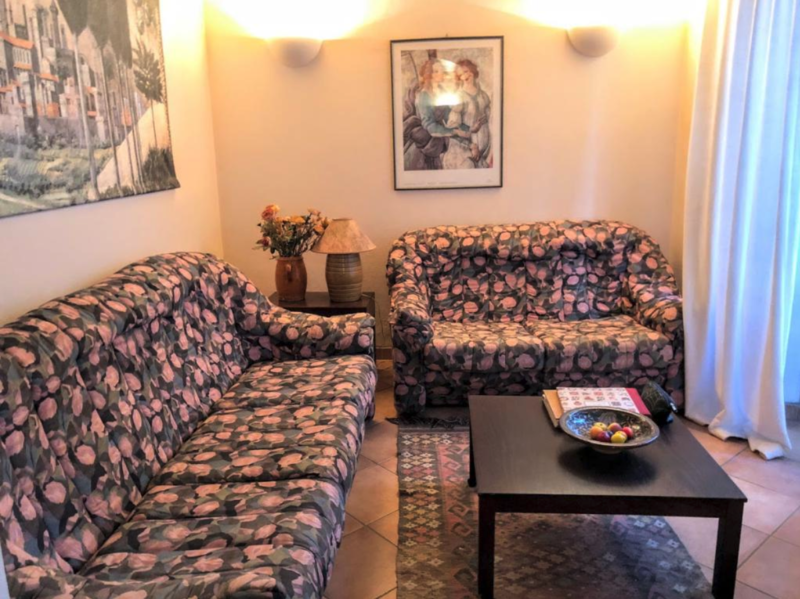 The property is connected to main services and has central heating. 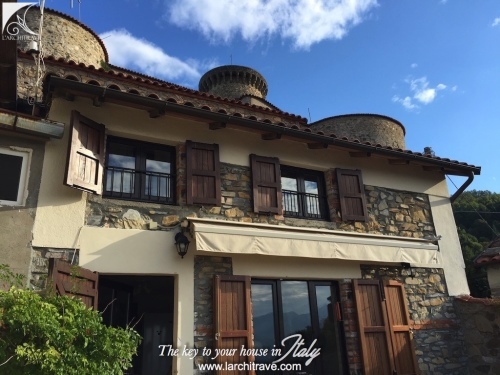 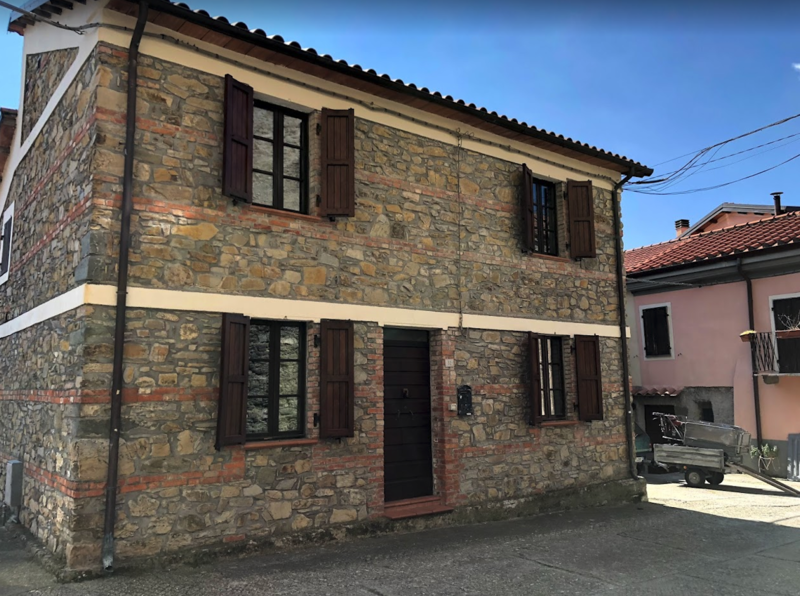 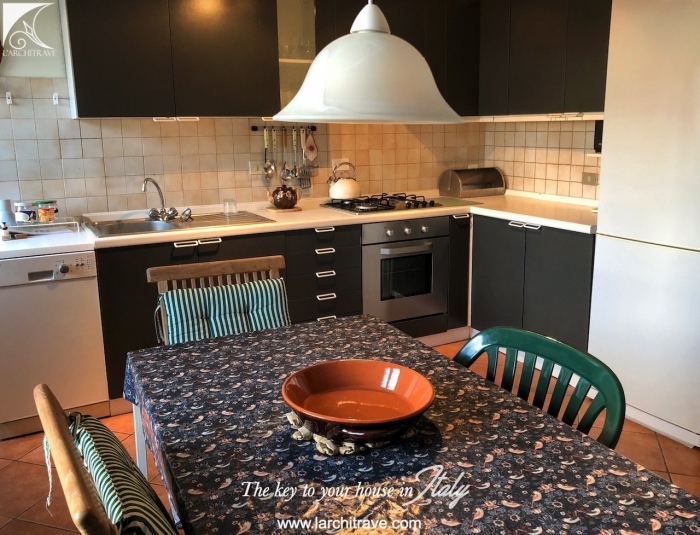 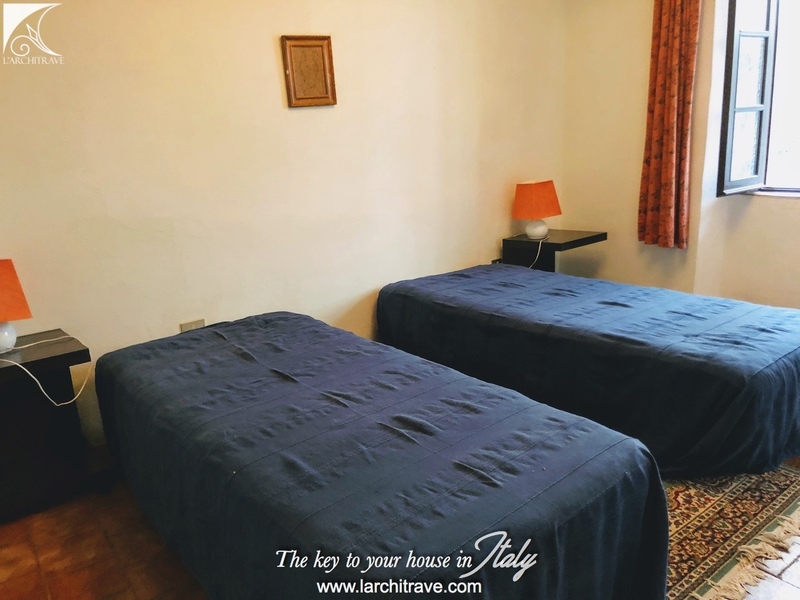 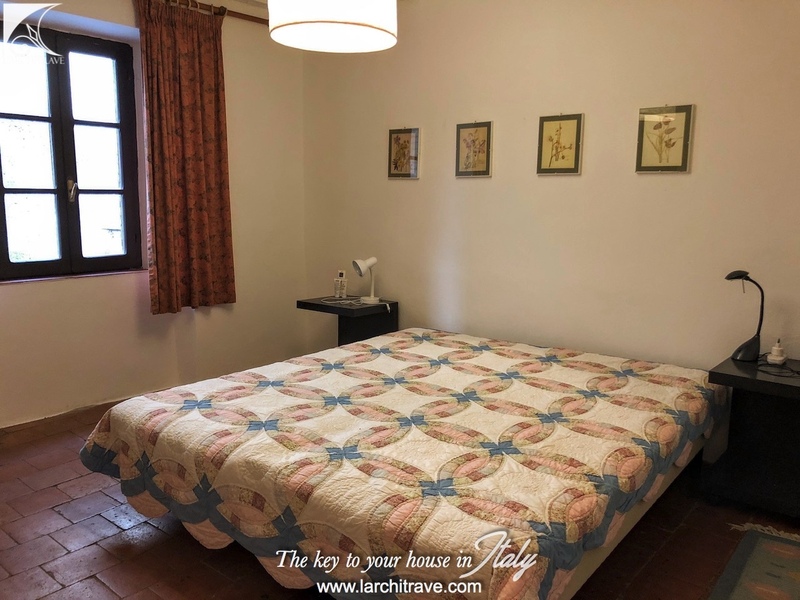 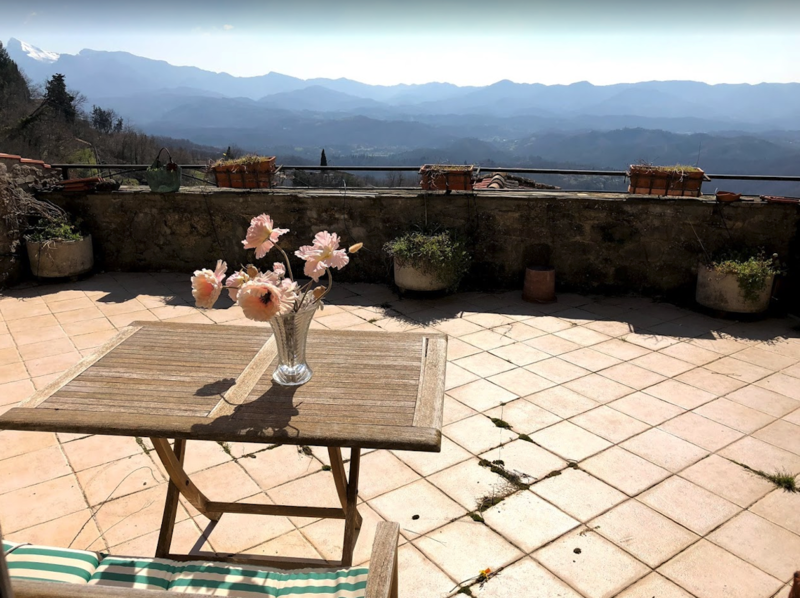 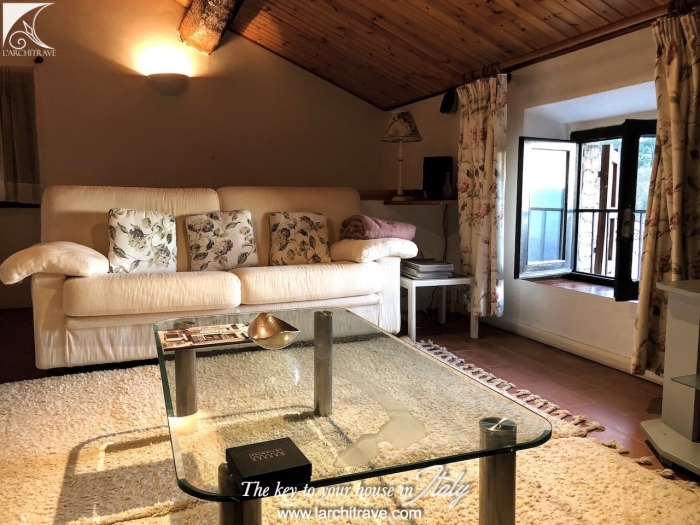 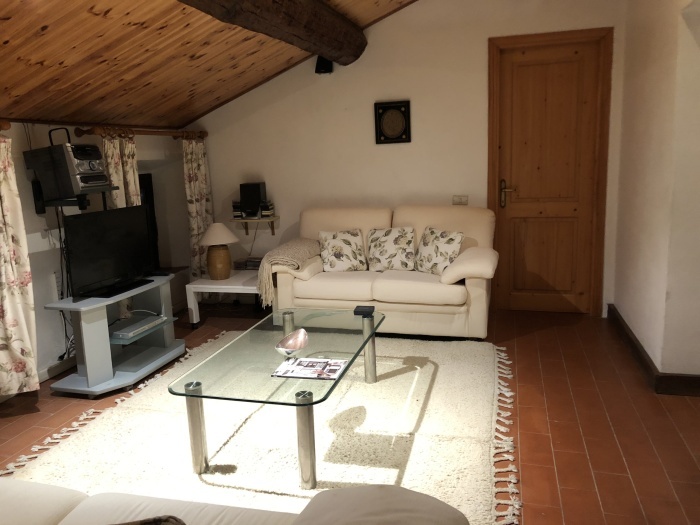 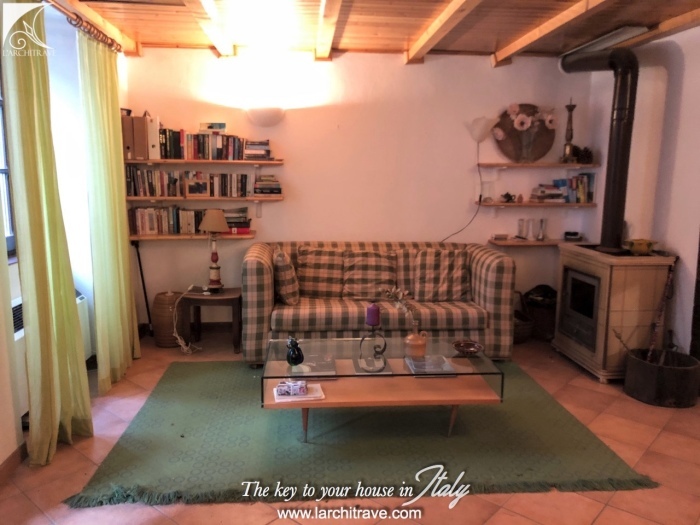 Well maintained and equipped this house offers comfortable accommodation set in the magic of Tuscany in a truly special location. 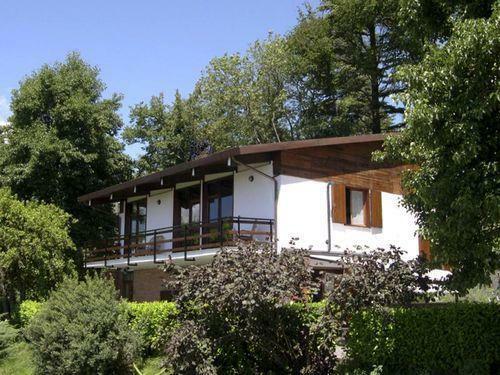 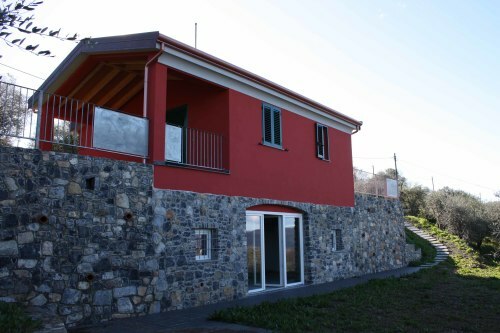 The property is located in a hamlet close to the town of Licciana Nardi which is 3 km. 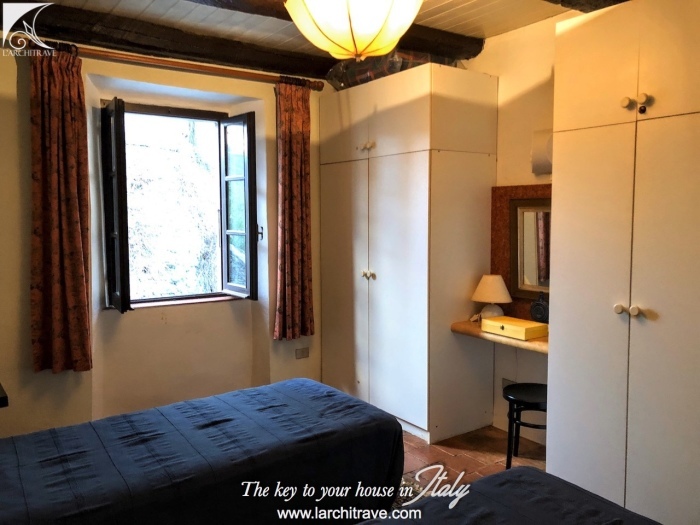 Aulla with motorway and train station (also to Cinque Terre) is 10 km, Beach 35 km, Lucca 90 km, Pisa airport 90 km, Florence 150 km.